For many of us, starting and running our own business is a real dream goal, it’s something we plan on doing in that undefinable period of time known as the future or tomorrow. We’re here to say there’s no reason to keep putting off your entrepreneurial dreams. As we write, the online marketplace of business-to-business e-commerce stores continues to grow and flourish, much like B2C stores did a few years back, with B2B stores solving an equally lucrative need. There are many opportunities to be had, but only if you’re quick off the mark. The fact is, starting your own B2B store doesn’t have to be difficult, or even take very long. It requires careful thought, research, and planning, but with a little knowledge, it’s extremely straightforward and linear for the most part. We know it can all be a little overwhelming at first, so to help you out, we’ve written this quick guide to getting started with your business-to-business e-commerce store. One of the most important steps when it comes to guaranteeing your business’s future success is the meticulousness of your initial understanding. Sure, you’ll deepen that understanding of your particular niche as you go along, but it’s important to be starting from a position of knowledge. That necessitates research and lots of it. You want to be emerging into this industry knowing everything there is to know, and in some cases that can be very straightforward and fairly simple, in other more technical niches, it can be harder. At the end of the day, in order to sell something effectively, you need to understand the customer, their needs and what they’re buying it for. Again, this is an important step, so don’t skip over it in your desire to get started. Once you’ve got that deep, fundamental understanding of the industry you’re going to be stepping into, you want to start looking at ideas. Essentially, you want to identify a range of problems experienced by businesses and look to fix them with your B2B store. You want to brainstorm as many ideas and solutions as possible, to give you a raft of options to choose from. The more you come up with, the more likely you are to stumble onto the real groundbreaker. Now you’ve got a big pile of problems, solutions, and ideas, you want to suddenly become intensely choosy and fussy. In short, you want to become extremely discerning, filtering through the options until you find the most promising one. That means putting each one under a microscope and evaluating its merits and disadvantages. Give each idea a fair try, and make sure to look especially closely at the more outlandish ones, they can be the most promising. When you’ve settled on a couple promising ideas, the next step is to go back to research. You want to be gathering evidence, both hard and soft, that support why there’s a need in the market for your idea, and how well that idea could fare. That means both anecdotal evidence from businesses, factual, statistical evidence. Basically, a full file of details on why it could, or it couldn’t work. This is your backbone when it comes to getting any kind of funding, and proving to both yourself and the world that this is a solid, good idea. You don’t want to go barking up the wrong e-commerce tree here. Before you go any further with creating your website and getting on with all the strategic parts of running an e-commerce store, you want to set a budget for website creation and stick to it. This will help you when it comes to selecting the right web design company, as well as when it comes to minimizing overall spending. If you’ve already engaged and worked within the industry you’re looking at selling to, you want to make full use of any and all contacts you have. Give them a call, pick their brains, court them for future business, whatever it takes, just make sure you utilize your relevant contacts. It can be incredibly valuable to a start-up e-commerce business to have customers already in sight, so make sure you have these conversations and reach out to any industry contacts you might have. From here on out you want to be looking at different development and web design companies looking for an ideal option when it comes to getting your website made. There are some key criteria you need to put into practice when it comes to making sure that you get the site that you need to succeed. Previous experience in e-commerce and B2B sites is an absolute must. You don’t want to be working with any smaller or inexperienced firms, as they might not be capable of building the site you need. Integrated services are also very helpful, especially when they come with discounts on package deals. 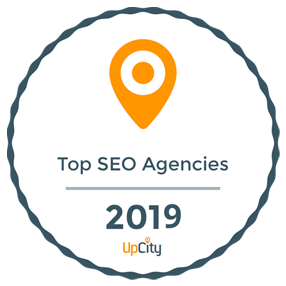 Finding a company that can build you a great website, help you to strategically plan your future, and provides great SEO services can make for a much easier, cheaper and more streamlined process, meaning that you get selling and making money much sooner. At the end of the day, you want to get your site up and running as quickly as possible, because the sooner you’re making money the better. The right web design company can help you do that. You can also check out our article on choosing the right e-commerce partner for your business. When you look at all the most successful men and women in a range of business environments and industries, one theme comes up time and time again. People who succeed are frequently very, very curious about their industry. That means that if there’s new technology coming, they want to know about it. New movements and ideas in the industry? They need to be the first to know. This is exactly how you stay on top of your game, especially in the B2B e-commerce area. That means that you need to cultivate a deep and enduring interest in your industry. You cannot expect to simply do a lot of research, create your business, and then let it tick over by itself, that’s not how it works. You need to maintain an interest and curiosity, and it’s only through doing this that you can hope to bring your business to the top of its game. Don’t choose an industry you don’t care about or are bored by, it’s a recipe for disaster. Once your e-commerce site is up and running, there’s one last thing to do (apart from the million things you’ll be running around doing! ), you need to strategize and think about growth. You want to be keeping one finger on the pulse of your business, and the other hand directing your next moves. Consistent digital marketing and branding strategy is essential when it comes to consistent growth, which is every business’s ideal situation. Again, it helps to have a web design and marketing company working with you to help plan and develop strategies for digital marketing and branding.